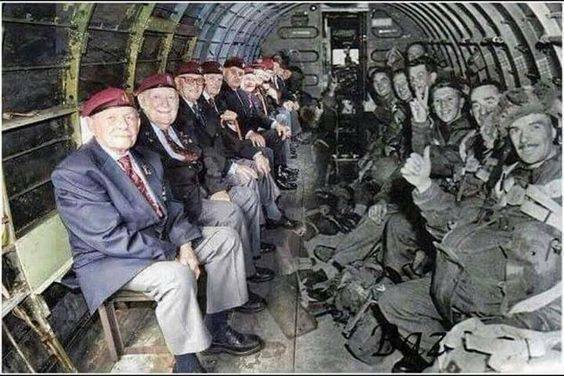 in the same plane that dropped them into Normandy. 1944. I'm sure they feel so blessed to be able to have this picture taken. God bless each of them..